When I was a little girl there was a cherry tree outside my bedroom window. Every year I waited until springtime when those blossoms would regale everyone with their delicate pink cascade of blooms. To this day, cherry blossoms mean spring to me and the beginning of a new season for my garden. My favorite place to visit this time of year is the Brooklyn Botanic Garden. This is the beginning of their Cherry Watch. 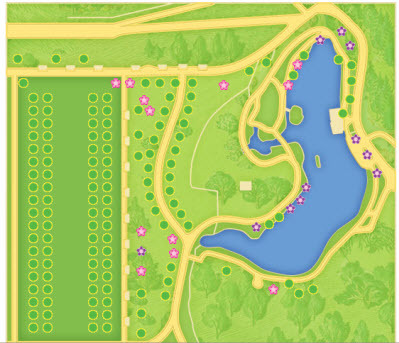 Each day the map will be updated with the status of the blooms. If you’ve never seen it, it’s not to be missed. Go early in the morning before the crowds. It’s like a fairyland.